Visit the Kids section - just for kids! Managing your child's diabetes control can be a difficult and potentially stressful task for a parent. With so many things that can affect sugar levels, a little extra knowledge can go a long way. Hypos can be particularly frightening for parents. Learn to recognise your child’s hypo symptoms and be aware that hypo signs can vary from time to time. It can be quite common for children to not always recognise that they are hypo , this is known as hypo unawareness. As a parent, it’s natural to have worries about your child having hypos and you need to strike a good balance between avoiding hypos where possible whilst maintaining decent control. As well as recognising hypo warnings, it’s also important to be able to spot when your child has high blood sugars. If your child is having high blood sugars often or at particular times of the day, their regime might need to be changed. If you have any doubts, speak to your healthcare team. Children don’t enjoy injections or testing their blood and will often try to avoid blood tests where possible. However, blood glucose monitoring is very important for establishing good blood glucose control and to help prevent high and low blood sugars. If your child is resistant to blood testing, recognise their worries and find ways to comfort and empower them. Blood testing sure does hurt but it can help them to feel better through the rest of the day. Make a record of your child’s blood sugar numbers and where possible record which meals they have and any activities which could affect their blood sugar. This may not be possible each day, but the more information you have, the better decisions, about dosage and regime, you and/or your child will be able to make. Children often find it hard to accept their diabetes. If they aren’t getting good blood sugar numbers they may feel they’re failing and may either want to protect themselves from reproach or may simply deny to themselves that their blood sugar levels are not in the right range. This is a common occurrence and a consequence of this is that a significant number of children will lie about their blood sugar numbers. Even if your child is an angel, they may still lie about their sugar levels. You don’t want your child to think you don’t trust them so it’s worthwhile taking time to sit down and test with your child as well as to go through their numbers with them. They’ll appreciate you care and may find it easier to open up about any difficulties they’re having. Children of all ages can sometimes miss out injections or dosages. Either it can be by mistake, through forgetting to inject, or it can be deliberate. 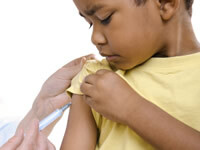 Some children may wish to avoid the pain and discomfort of injecting. However, other children, particularly teenagers, may miss doses for more calculated means, such as to become unwell or to lose weight. Missing insulin to lose weight is sadly relatively common and has been termed diabulimia. If your child is missing injections or dosages, it may make you angry, but try to understand why your child may be doing this and keep your mind open to any difficulties they may be having. The honeymoon period is term used to describe the period, after diagnosis, at which your child is still producing a fairly significant amount of insulin. During this period, blood sugar control tends to be helped out by the body’s own ability to self-regulate to some extent. After a while though, the body will deplete its insulin producing cells and the benefit of the honeymoon period will wear off. As this begins to happen, and the effect is gradual, your child will find it more difficult to control their diabetes. If your child is used to having good control, they may find it frustrating to no longer have the control they used to enjoy and may not be able to cope so easily from this point. Be aware of when this could be happening and be prepared to spend extra time helping your child whilst this happens.